GolTV USA is a cable TV network which focuses on football, which can be seen by football fans in the U.S. both in English and Spanish. 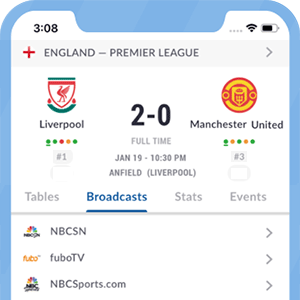 GolTV USA's programming is available on both languages due to the use of SAP technology, which allows subscribers to watch any game in their language of choice. Some TV services offer two different channels with the same feed (one in English, one in Spanish). GolTV USA's offer might include some first division leagues in Europe, along with several cup competitions. GolTV USA also provides access to lower-tier football categories, mainly centered in the CONCACAF region. *Got itLive Soccer TV does not provide GOLTV USA live streaming. The information provided on this page is simply GOLTV USA soccer TV schedule.